View More In Hose Connectors & Accessories. 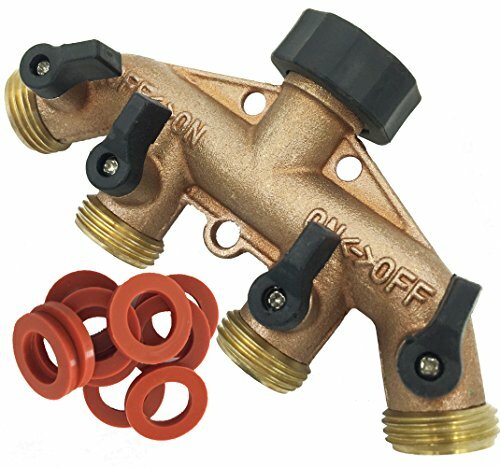 This heavy duty brass 4 way hose splitter is of brass construction with leak-free brass ball valves . It's compatible to any standard water outlets around your garden. 100% Satisfaction MONEY BACK GUARANTEE :If you're ever unsatisfied with this product or any of our other products, please contact us and we'll either send you a replacement or a full refund!